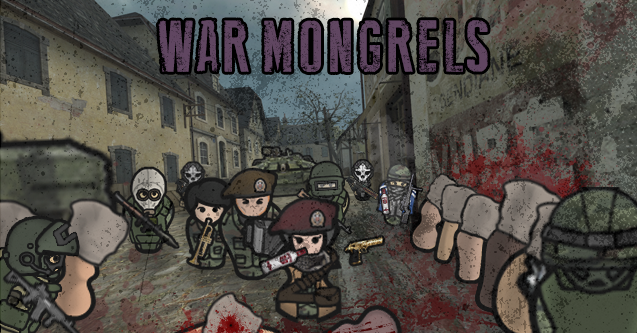 Which faction in the modlist is your favourite? 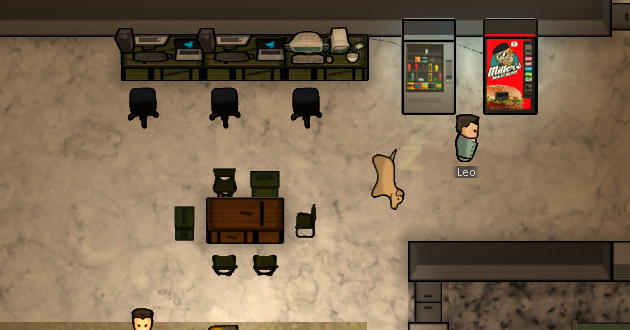 I know its not in the options, but kittens and puppies. 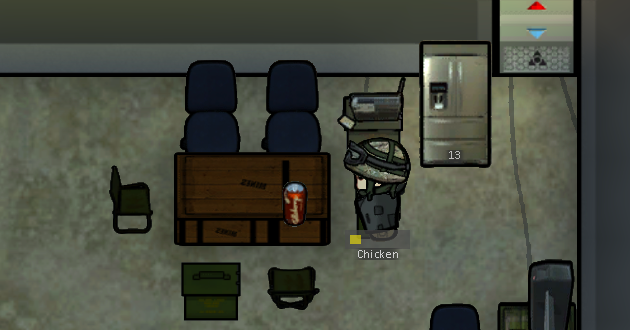 How to download: Click the Chicken pictures. The mod folder names have been changed upon download, future updates will require you to delete old existing mod folders to avoid confusion! 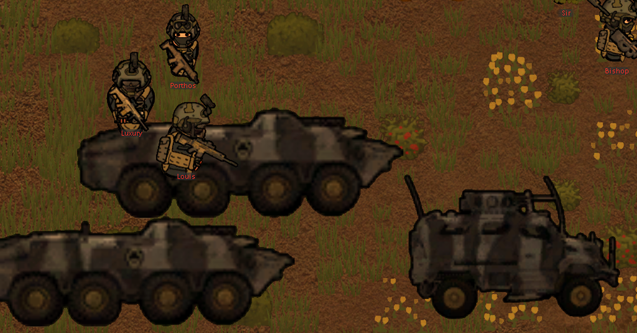 - Tanks do not explode and disappear upon death anymore, when they are killed, they drop units that run away. Re: [B18] Chicken Plucker's plucked feathers (MODLIST) Military kits and etc. - All SAS Counter Terrorist outfit sets (vests and helmets along with coveralls) are now 100% fireproof. NOTE: This will stop CTs from being set on fire, even though coveralls were fireproof, other clothing parts would light up. - Vending Machine texture fixed. Nanomachines, son. Hey this is kinda awkward, remember how pumped up I was and I said everything was updated? Note: You'll know it's updated if it has a new (CP) tag or (RH) tag on it's folder, if it doesn't have those new tags, it is outdated. It's good to be back. Please delete your old mod folders if you are updating. caused mod conflicts with other mods in the future. They have all been patched. 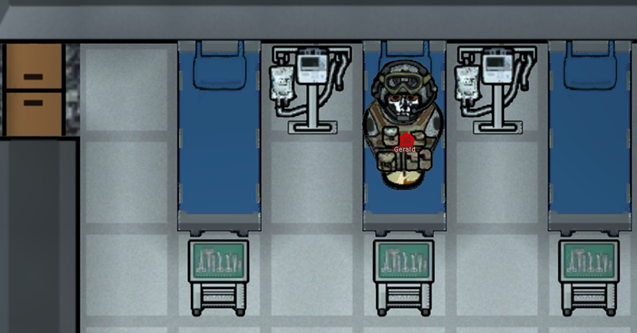 - IFAKs and Medic bags no longer need wood. That was a silly ingredient. to the game thinking it's a brand new mod. E.G. (CP) Faction - Task Force 141 (B18) is now (RH) Faction - Task Force 141 (B18) all you have to do is enable it again, even if your mod list fixer tells you that it's not the same mod in your save, just enable it and your save will be working just as before. - New tacticool radio and tacticool refrigerator. - Tacticool radio has a selection of over 10 instrumentals, most songs are from MGS: V casettes, some are vietnam war era songs, one of which is the cheeki breeki Bandit radio music and more! - Special thanks to Jecrell for the C# coding! - Missing Maxi Bucket meal recipe is added back on Maxi Buns machine. Note: I apologize for this "game breaking" error, but after much hard work and years of research and development, the maxi bucket can be bought from the Maxi Buns machine now. 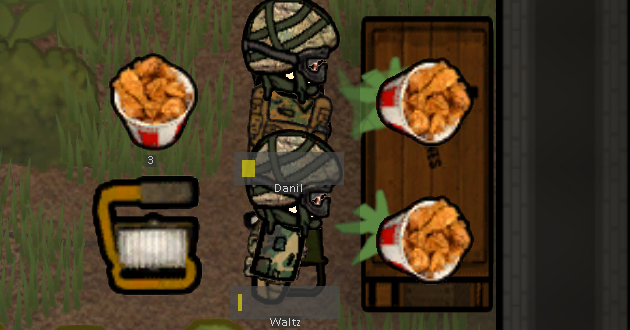 My condolences to those who have not tasted such a delicious fried chicken meal because of me overlooking such a thing..
- "Unavailable" faction leader of Royal Marines Commando is now fixed, you can now talk to them on console. - Stretcher spot renamed to "emergency stretcher"
- Instead of "high" it will say "energized by locuzade" or "refreshed by liptun"
- New rare raid event, "Hound Units" only spawn in this raid. - Changed 3x1 workbenches into brand spanking new 2x1 workbenches with updated stats. 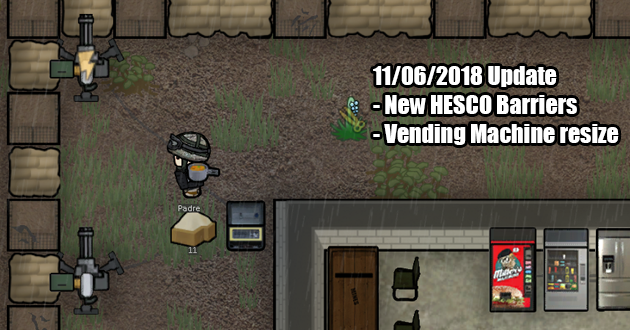 - Medic bag (civilian) name changed to "Medic bag" only. Just updated the British Military Kit, removed gasmask stats for helmets that do not have a gasmask, also updated the thumbnail to look better. But in reality the better name is probably U.S. Military kit, as that fits with the already named British Military kit, anyway just my thoughts on it. While Choice Nr. 5 is true, I think it should be the second choice. The Kit Should not give them more credit or fame than they deserve. 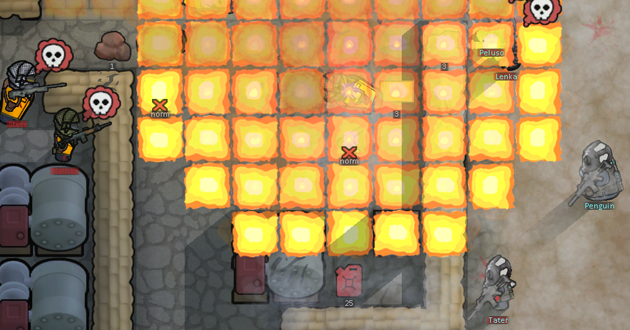 Maxim 37 : There is no overkill. There is only open fire and reload. 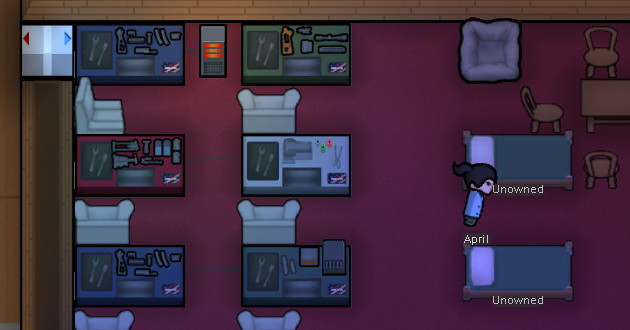 Rule 34 of Rimworld :There is a mod for that. Hello I will just do a filler update, the new OCP camo is going to show up and it will be the only camo I will have available for Ranger combat gear because I am super lazy to make the UCP for the Rangers, if anybody objects to that please let me know or forever hold your peace. If you did wan't to endorse your fans from the different branches of the military I can understand that. So when will I be able to download your mods ? 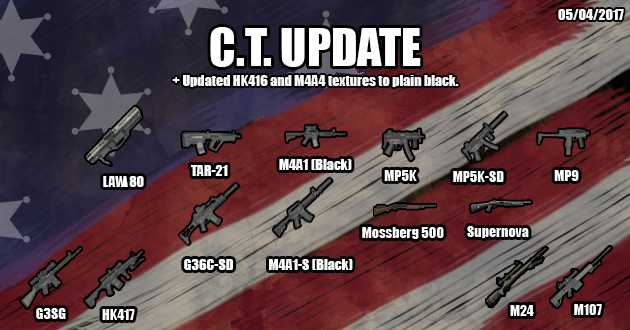 Progress report on the US Military mod, the Army gear is finished, now I am working on the Navy and I will finish up with the coding. Hope to upload everything soon! "What the heck did you just hecking say about me, you little muffalo? I'll have you know I graduated top of my class in the Navy Seals, and I've been involved in numerous secret raids on ancient danger sites, and I have over 300 confirmed kills. 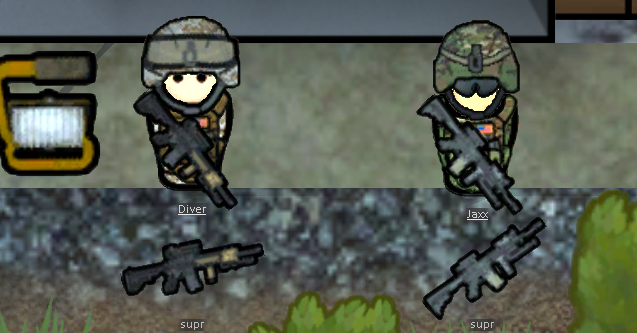 I am trained in gorilla warfare and I'm the top sniper in the entire colony.."
The details are just amazing. 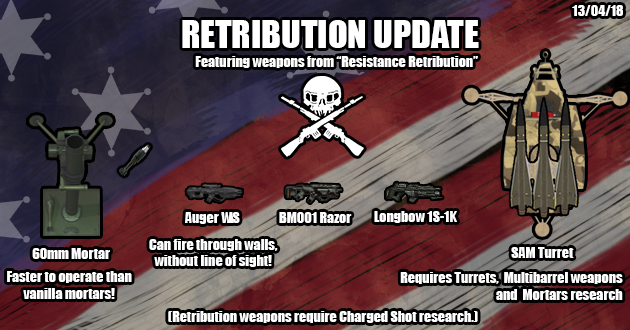 Edit: Just a note if anybody cares, after US Military mod comes out with the weapons mod I have ready thanks to Roskii Falkirk, I will work on small mods like the prison outfit and work on the factions. Umbra Company will recieve an updated armor, possibly a new uniform and get to other things.